On November 17, Yonita was born! An anime that was produced by the same studio that also created the 1973 Doraemon anime, will be released on DVD on October 26, 2018. 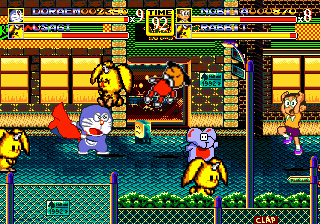 Doraemon and friends enter the Streets of Rage in this ROM Hack of Streets of Rage 2. 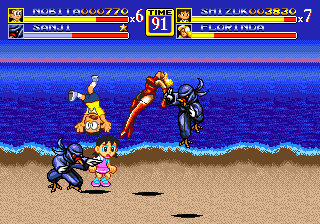 In early 2012, a utility that lets you customize the character in Streets of Rage 2 was released. It revolutionized the hacking scene for the game. Doraemon is a popular series by the manga duo Fujiko F. Fujio. It is about a futuristic robot cat who uses his numerous gadgets to aid a boy named Nobita. The series was first adapted into an anime in 1973, by a studio called Nippon TV/NTV Video that went under different names. Doraemon was the last anime that the studio produced during their 8 years of existence before they went bankrupt. The 1973 anime was cancelled after only 5 months. 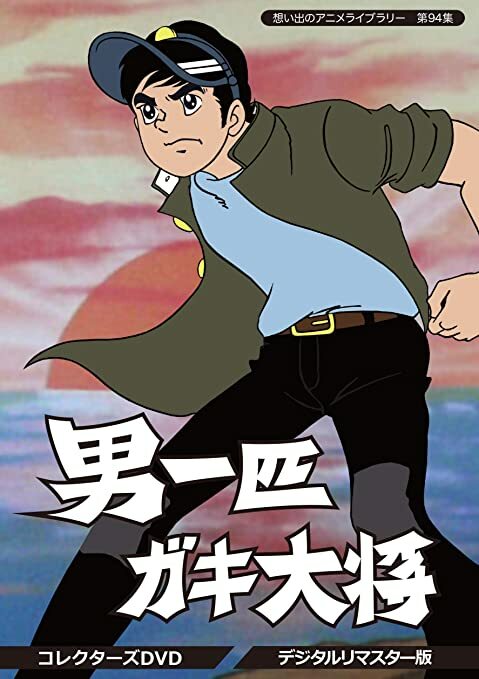 The 1973 anime featured several differences from the manga and later adaptations, which may have attributed to the manga creators' hatred for this show. 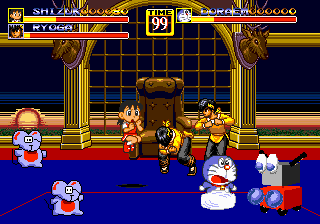 A few sources also state that Doraemon and Nobita had more villainous personalities. The show survived in reruns until the publisher of Fujiko F. Fujio manga, Shogakukan ordered the network that was showing the 1973 anime to stop airing it. They didn't want the newly created 1979 adaptation to have its reputation damaged. The chief producer of the 1973 anime, Masumi Jun had uploaded a copy of the opening and ending for people to see what the show looked like, but he quickly took down the uploads after finding out that another person re-uploaded the videos onto another website without his permission. As much as we want to see this version of Doraemon, there are a few huge problems with it. Firstly, Fujiko F. Fujio hated this adaptation of Doraemon. Among the lines Hiroshi Fujimoto said was, "That was not my Doraemon". 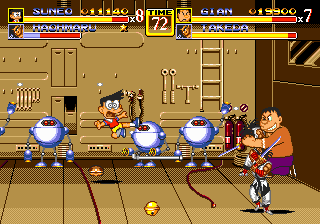 Therefore, when a later company named Fujiko Pro acquired the rights to Doraemon, they don't want kids to know of Doraemon of the existence of Doraemon '73. Plus, many materials related to the show are lost. Some of the episodes survive only in the form of screenshots. The film reels were sold off in an attempt to cover the studio's debt. Although Masumi Jun has a decent amount of the episodes in his possession, he is not allowed to release them publicly until the current 2005 Doraemon anime has finished airing, thanks to Japan's copyright law. I find some of the character models hilarious to look at compared to the later anime, especially Doraemon himself. This series had quite a unique art style from the 1979 and 2005 anime. As of this writing, the only full episode that's online is an audio cassette recording of the final episode. Watch footage of other anime that the studio created, such as Tobidase! Bacchiri. Find early versions of the Doraemon manga. Happy Candra Day of 2018! Candra, dressed in her new outfit looks at one of Yonita's illustrations. Yoni Arousement is one person who enjoys Doraemon and arcade games. My favorite treats are funnel cakes. 2015-2018, Yoni Arousement. Ethereal theme. Powered by Blogger.